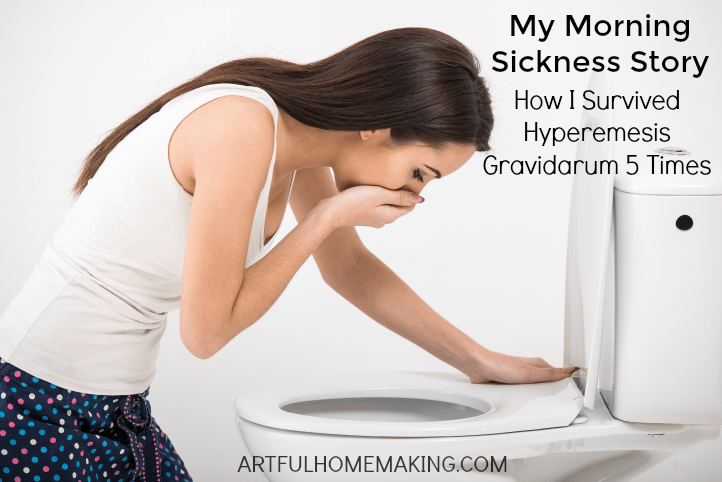 Before becoming a mother, I had never even heard of Hyperemesis Gravidarum. Is that really a thing? Yes, it really is, and I suffered with it during each of my five pregnancies. Here’s my morning sickness story. As soon as we got married, I couldn’t wait to have a baby. I spent my lunch breaks at work devouring pregnancy and parenting books. I dreamed of the day when I would hold my very own child in my arms. Weeks went by, then months. And still I wasn’t pregnant, despite the fact that we were actively trying. Whenever I would see other pregnant mothers, I felt a stab of jealousy in my heart. I pleaded with God to let me be pregnant NOW! I can still remember the day when I rushed home from work and took yet another pregnancy test, praying that this time I would see that pink line develop in the little test result window. As I waited breathlessly, I saw the second pink line appear. I couldn’t believe it! After ten months of trying to conceive, I was finally pregnant! I dropped down onto the floor, crying and praising God for this wonderful miracle! When my husband came home I showed him the test and we cried together and prayed and then took the test over to my parents’ house to share our excitement with them. That was one of the happiest days of my life. But the happiness was short-lived. It wasn’t long before the morning sickness hit. And it was worse than anything I could have imagined at the time. It was the weekend of Thanksgiving, and we were anticipating spending time with our families. But as the day dawned, I knew I wasn’t going anywhere. It started off with overwhelming nausea, which quickly progressed to uncontrollable vomiting. No matter what we tried, I couldn’t keep any food or water down. We ended up calling the on-call physician at my OB/GYN’s office. My husband called the office for me because I was just lying there crying and feeling miserable. The doctor on-call insisted on talking to me personally. I cried through the whole conversation, and ended up running to the bathroom as soon as we hung up. Since I couldn’t keep anything down or take anything by mouth, the doctor prescribed anti-nausea suppositories. I couldn’t believe I was actually going to use those things, but I was desperate. I can’t imagine why it’s called “morning sickness.” I always felt the worst at night, but it was really all-day and all-night sickness. Non-stop overwhelming nausea and uncontrollable vomiting. Life seemed to come to a screeching halt for me. I had planned to work up until my due date, but that was impossible now. I had to quit my job, and there went half of our income and my health insurance. I spent my days lying in bed, sleeping, crying, trying to eat whatever food would stay down (mostly just popsicles), and watching videos my husband would pick up from the library (reading made the nausea worse). Most of the time I was just miserable. I constantly worried about my very-wanted and very-loved baby. How could she survive all of the drugs I was taking? How could she live if I couldn’t eat or drink? I had nightmares about giving birth to a baby deformed by the anti-nausea drugs I was taking. I never took the full dosage I was allowed because I was so worried about my baby. And I couldn’t live with myself if my baby was harmed because of something I did (even though we would both have died without the anti-nausea drugs). You really can’t believe how terrible Hyperemesis Gravidarum is unless you’ve gone through it yourself. But let me try to give you a picture of the level of suffering. Imagine you have a stomach virus or maybe food poisoning. But instead of lasting 24-48 hours, it lasts for 5-9 months. Just imagine that. Imagine you have food poisoning with nausea and vomiting for not just a few days, but months! Don’t you think that would be miserable? Instead of deciding to avoid food for the duration of your illness, you are forced to eat (and very frequently) for the health of your baby. And you’re so hungry and so thirsty, but you can’t eat and can’t drink. That is as close as I can get to helping someone understand what severe morning sickness is like. And keep in mind that the anti-nausea medication really just took the edge off—sometimes. It didn’t eliminate the nausea or vomiting entirely. It seemed like nothing we tried would completely eliminate it. That was the main thing I felt during my months with morning sickness. No one understood what I was going through. Everyone wanted to give me advice. The books I read on morning sickness also suggested eating crackers first thing in the morning (I can’t tell you how many times I heard that one! ), getting exercise, drinking fresh juices, eating whole foods, lots of protein, etc. None of this advice was helpful. At. All. I was vomiting so many times a day and night that I lost count! I was so weak that I could barely stand up to walk to the bathroom. I started the pregnancy at around 107 pounds, and I was now down to 97 pounds just a few weeks into the pregnancy. I was seriously ill.
Crackers weren’t going to help. I found out later that I had Hyperemesis Gravidarum (which simply means “excessive vomiting in pregnancy”). No one I talked to had ever heard of such a thing. Probably the reason no one had heard of this is because the estimated number of pregnant women afflicted with hyperemesis ranges from 0.3% to 2.0%. I seem to be among the blessed few. Since no one I knew had experienced HG, I felt alone and like there must be something wrong with me. Was it something in my diet? I knew so many mothers who were not very concerned with eating what I would consider healthy food, and yet they felt great while they were pregnant. I had been eating a whole foods diet for years, and here I was, very sick. I had a hard time not feeling despair. I couldn’t go anywhere or do much of anything. My whole life consisted of nausea, vomiting, suppositories, and weak muscles from being in bed most of the time. I felt alone. I wondered if this would ever end, and if it did, would it end happily? I wasn’t sure. I was thankful for my Certified Nurse Midwife who could bring IV’s to my home if I needed them, and who could also have her backup physician write prescriptions for anti-nausea medications. Despite the many months of misery, I went on to give birth to a beautiful, healthy baby at home. Despite the misery, I couldn’t wait to have another baby. I thought for sure that I couldn’t be as sick the next time. Surely my second pregnancy would be better. But it was worse. Because this time, I also had my 15-month-old to take care of, in the midst of the morning sickness. It was so incredibly hard. I would drag myself out of bed in the morning (groggy from the anti-nausea medication), get my daughter up and dressed, take her downstairs and put her in the highchair with a granola bar and milk for breakfast, and I would lie on the couch next to her while we watched a video. During this pregnancy I also began to have migraines for the first time in my life. What made this pregnancy seem almost harder than the first was trying to care for the baby I already had, and trying to be a cheerful mommy even though I felt so bad. Even though this was hard, my toddler gave me hope that this new baby in the womb would also survive despite my sickness. I was so thankful when I gave birth to my very chubby and healthy second baby (my second home birth). I really wanted another baby. But now I knew that I was prone to severe morning sickness, so I had realistic expectations. But this time, I was going to be prepared. Before getting pregnant, I decided to do a whole body, liver, and colon cleanse to see if that might help. I had been researching the subject of morning sickness, and this was supposed to help. I also started taking milk thistle for liver support, before conception. After finding out that I was expecting, I continued taking the milk thistle and also added several other natural supplements that had been recommended to me. Unfortunately, none of these things had any noticeable effect on my morning sickness. I was still miserable, and this time I had a 24-month old and a 12-month-old to take care of. Oh, it was so incredibly hard! However, I went on to give birth to a very healthy 9 pound baby boy. My fourth pregnancy was the same as the others (miserable), except I now had three small children (5, 3 and 18 months) to take care of. Also, my husband had been laid off, and we were trying to sell our house and find a rental house in a town four hours away. I think this was one of the hardest times. I had many migraines and the nausea never went away until after the birth. But thankfully, I gave birth to another healthy baby girl at home! 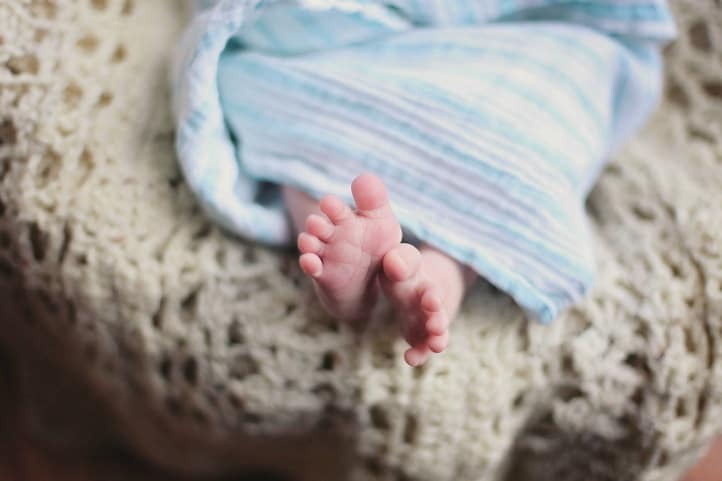 Despite the misery of my previous pregnancies, I found myself longing for another baby. I (again) hoped things might be different this time. I had learned even more about health, and I hoped my newfound knowledge might have a positive impact on the morning sickness situation. We had begun to eat a Nourishing Traditions type of diet. I drank Beet Kvass, Kombucha (which some have reported is supposed to help with preventing morning sickness), raw milk, ate fermented vegetables, soaked grains, made yogurt, etc. We were also taking coconut oil, cod liver oil, butter oil, and doing many other “nourishing food” practices. But none of it worked. I was still just as sick as I had been before. But again, despite the misery, my sweet baby boy was worth it! He was my biggest baby yet, at 9 lbs, 6 ounces. After five miserable pregnancies, I finally stopped researching morning sickness. I’ve come to believe that no matter what I do, I will still have severe, debilitating morning sickness with any pregnancy. Everything I tried was a dead end. Even though I’ve spent around two years of my life with morning sickness (with all five pregnancies combined), my children were definitely worth it all. Each one of them is a huge blessing in my life, and I count it a privilege to be their mother. One thing that I’ve gained from being sick during my pregnancies is a heart of compassion and empathy for those mothers who suffer with severe morning sickness or any kind of sickness during pregnancy. I would have never believed it was possible to be this sick just because you’re pregnant if I hadn’t experienced it myself! Your whole life kind of comes to a stand-still, and the whole family suffers when Mommy is so sick for so long. YES! 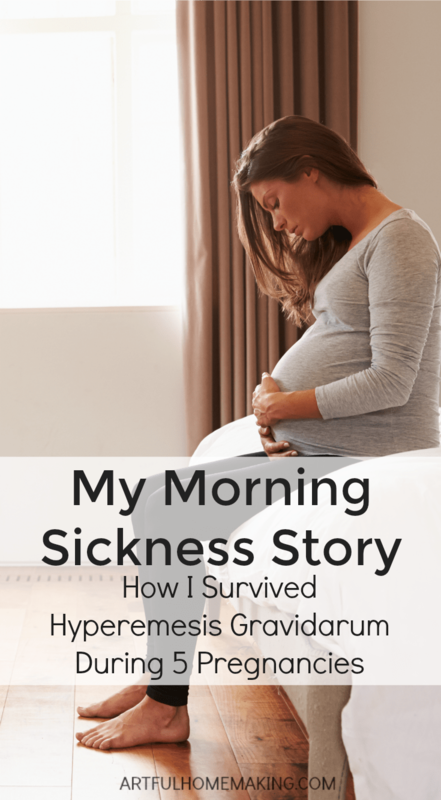 I had HG with both pregnancies and it is NOT just bad morning sickness! 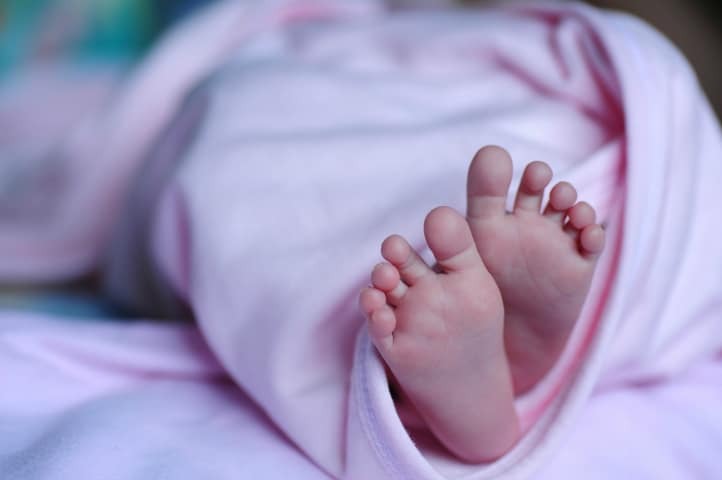 It is debilitating and potentially deadly to mother and baby. It was so frustrating to be so ill and made to feel as if I was doing something wrong. The message I got from others was if I just ate better, had crackers, etc. I would be fine. Meanwhile I couldn’t even keep my saliva down and was losing weight instead of gaining. Truthfully HG is the very reason we don’t have more children. I just had to accept that my body doesn’t do pregnancy very well. I think HG is one of the most difficult things to deal with since so few people understand it and they think they know what you’re going through but they don’t have a clue. 🙂 Yes, I got all those same messages about making sure I ate regularly, try crackers, etc. Very hurtful and frustrating. I kept thinking I could overcome the HG, and I really wanted a large family (larger than what we ended up with)…but in the end, I realized it was always going to be this way. I am in tears reading this. I’m 15 weeks pregnant with my third child and I’m still researching “morning” sickness. I’ve been sick with all three and have tried a ton. I hate taking the Meds, but it’s the only way for me to keep food down most of the time, although I don’t think my hp has been as severe as what you are describing. My first was the most difficult, because I refused the Meds. I hate eating!!! Crackers are the worst! Your post was encouraging! I will cling to the verse in Isaiah! I am so thankful I came across your article. I have suffered through two pregnancies with HG. I thought for sure my second pregnancy wouldn’t be as bad as the first, but it was worse. However, we have two healthy beautiful children. I would do it over again for them. We are now trying for a 3rd baby. I still have that small hope that I won’t have HG with this pregnancy. I know realistically that I will likely have it again. I know God will see me through just like He has with my previous pregnancies. Thank you for your encouraging words! It’s nice hearing about other people’s stories that had HG. I too have a condition that makes me very ill when I am pregnant. Though it is not the same, the effects are. Thanks for sharing. I have come across possible links to hyperemesis : h. pylori and magnesium deficiency. Did you ever look into either of those with your pregnancy? I did look into h.pylori during my second pregnancy (15 years ago). But the magnesium connection hadn't yet been suggested to me. I would definitely look into that if I were ever blessed with another pregnancy. I would try just about anything to relieve this condition! Oh I feel you. Every single pregnancy started with nausea and vomiting…even before it showed up on the stick. Did the whole gamut from every natural remedy all the way up to the pump with daily nurses. I hate how my husband's family would "insinuate" I was faking. Yes, I am faking enough to cause so much pressure on my ribs I was actually breaking and cracking them due to the constant force of vomiting and dry heaves. I've had 3 live births and 10 miscarriages. I'm terrified to have another pregnancy as the kids are 13,12, and 5 and ALL are now homeschooled. We're not trying but my last mc was a late term mc and I didn't know I was even pregnant (I've PCOS too.). I did have a few waves of nausea and passed out a few times but I was working our mini-farm hard and lost from a 20 to a size 12. I wonder if that would have been the first pregnancy out of all I could have enjoyed…. There are volunteer support groups out there on the web for mommas with HG. I just went blank but I volunteered with them 5-6 years ago(before my youngest). They can offer hope and support over the phone and I actually went and gave physical support too as I am also a doula. I only wish people would realize we don't CHOOSE to be sick. Thank you so much for sharing your story. It is such a difficult and painful experience to go through, and I think one of the most helpful things is just talking to someone who has been there. That's wonderful that you were able to volunteer with a support group to help HG mothers. I'm sure that was such an encouragement to so many ladies! Thank you. Your story has helped spur me to trust in the Lord and have more children, I forgot to post a reply in thanks a few months ago when I read this. I am now pregnant with my third HG pregnancy. We also have our children at home, so that is one blessing to look forward to after all this horrible sickness. I agree the constant painful nausea is awful and relentless. I have had much more control over vomiting after following a nourishing traditions type of diet as well. We adjusted that over the last 2 years, and so far things HAVE been better than the first two pregnancies. Thank you so much for taking the time to write. I'm so thankful if anything I write is helpful to others. Congratulations on your pregnancy! I know it is so hard to go through such suffering. When I look at my 5 beautiful children, I'm so thankful that I'm their mother, and it was all worth it. May the Lord bless you as you grow this new precious little one! Sorry to hear that you suffer with this too, Nabila Grace! That must be so hard to have to go to work, too, while feeling so bad. I was working full time when I got pregnant with my first baby, but I had to quit because I just couldn't make it in. I was the business office coordinator and I was calling in sick every day…it just didn't work. I tried to go in one morning, but I just couldn't make it. I ended up in the bathroom and almost died driving myself there. 🙂 Such a terrible memory! I finally admitted that I just couldn't do it, and quit. It was such a hardship on us financially to lose my income (half of our income, which wasn't much to begin with), and lose my insurance. We had no money, my employers were mad at me, but God is good and He brought us through that difficult time. I hope you're doing better now that you're 26 weeks! Hi! I just wanted you to know that I loved reading your story! (followed link from Raising Arrows) I am going to link to it sometime soon from my blog. Thank you so much for writing!!! Hi Diana! Thanks so much for visiting, and I'm glad you enjoyed reading my story! thank you for sharing your story! i read your comment over at raising arrows and followed you here. i so appreciate you sharing your post as well! i never heard of HG before today however, was medicated for extreme nausia and vomiting during my pregnancy with my first born. with my second, i couldn't take the same meds (zofran) because it made me sleep so long and heavey by now i had my two year old son to take care of as well. just reading your story, and the other's i have stumbled upon today, have been such a source of encouragement to me. silly as that may sound. i've only ever known very happy pregnant women and have wondered why i was so terribly sick and awfully depressed during both of mine. i have shared this info with my husband today and even he seemed to have relief in knowing their is an actual condition that some women suffer from and that we are not alone. thank you again so much for sharing! i praise God for honest, obedient sister's in Christ who are willing to open their hearts and share as you have done – many blessings!! Oh, my heart goes out to you for having to endure such suffering in pregnancy! I can so much relate to the difficulty of needing to care for another little one while you are so sick. 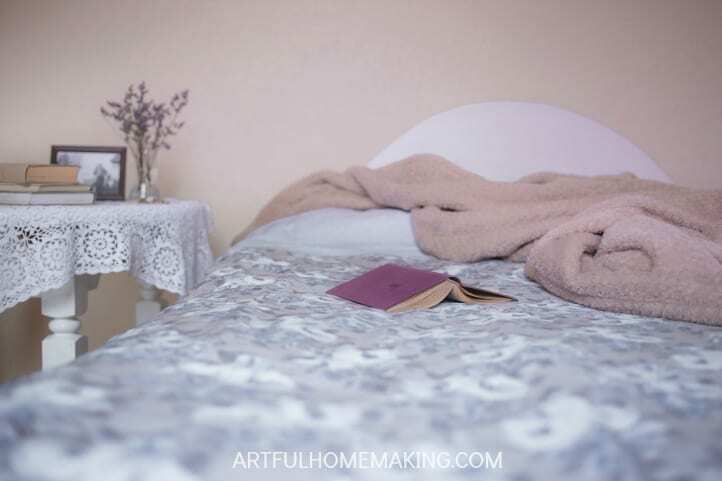 I remember days where it was so hard to get up in the morning, since I was under the influence of an anti-nausea medication that put me into such a deep sleep. It was just terrible. It really is encouraging just knowing there are other women who have experienced the same level of illness during pregnancy. I never met anyone who knew what I was talking about, either. All the women I knew (including my own mother) felt just wonderful during pregnancy, and a few didn't even know they were pregnant until they were farther into the pregnancy. I can't even imagine that, as I seem to get sick almost as soon as I conceive. Thank you so much for sharing your story. I have such a heart for all fellow Hyperemesis sufferers! Thank you for sharing this. I also had the 24 hour sickness with all five of my pregnancies, lasting four months each time. I had to be hospitalized for dehydration with the fifth one. This is truly miserable, and nothing natural I tried to alleviate it helped. I, too, suffered the mental and emotional agony of friends and family not understanding and thinking I was just faking. Of course, those women had never suffered with it. I dearly love all of my children, and even though my youngest is 37, I still remember those miserable days in early pregnancy. Like having the stomach flu 24 hours a day. I can really empathize with you, Sally Anne! It's such a difficult thing to go through, especially when no one understands. Thank you so much for adding your story here. I think it's such an encouragement when we find out there are others who have gone through this, too (and lived to tell about it!). Thank you so much for taking the time to leave a comment and share your story with me. You're right, when you go through something like this you do feel so alone. Hyperemesis is so hard to go through, but as you mentioned, so worth it in the end! Thank you for sharing your story. I wish I had known of others going through this when I was younger. I have had 6 children over a 20 year span having my first at age 22 and my last when I was 42. I experienced hyperemisis with all of them. It was horrible! I felt so alone in those early years because nobody understood how severe the nausea and vomiting was. Like you, I couldn't be around people, couldn't think, much less talk, I was just surviving. Thankfully my first two children were girls and by the time I was pregnant with our 3rd child, they were 6 and 4 and were able to mostly take care of themselves while Daddy was at work. My daughters have been a blessing to me through all the other pregnancies (even helping to homeschool the younger ones). I have taken every kind of nausea medication and tried every natural remedy I have ever heard of for nausea…nothing has worked for me. Thankfully, IVs were able to keep me from completely dehydrating, and I have indeed survived each pregnancy (although there were many times I jsut thought I couldn't make it). I don't know why I have had to suffer this way in pregnancy, but I am so thankful for each of our precious children. Our youngest is now 3, and if God chooses to bless us with another child, I will most likely have to endure again, but it is so worth it! Again, thank you for sharing, know your experience will bless someone. Somehow just knowing you are not alone can give you the strength to get through.